Now that we are heading towards high summer (?!) nothing signals holiday season better than wearing white. White is definitely a part of my wardrobe as soon as the weather improves. As this look isn’t for every one you have plenty of other options this season. White with one of the fluoro brights, with red and blue, or with other neutrals. 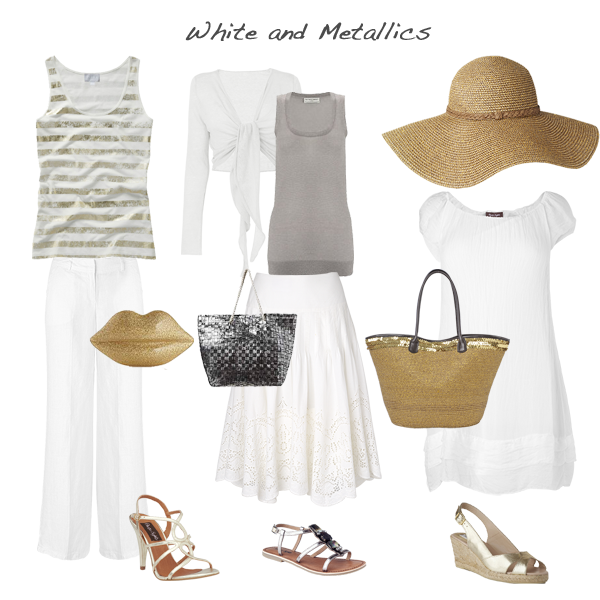 When it’s really warm and you have that gorgeous summer brightness I love to mix my white with metallics. How will you be wearing your white when the summer (finally) arrives?